In 1789, the House elected its first speaker, Frederick Muhlenberg of Pennsylvania, a veteran of the Pennsylvania Assembly and the Pennsylvania Ratifying Convention (for the US Constitution). 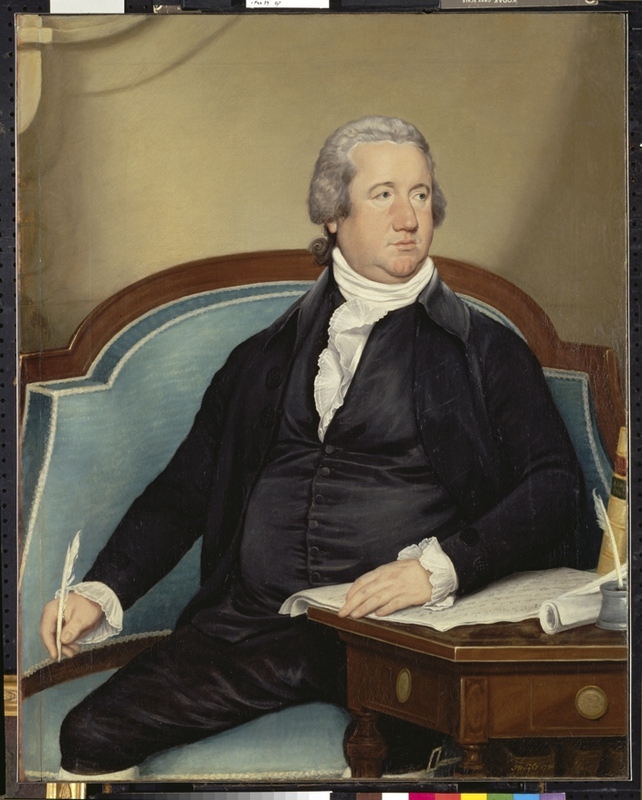 As the House’s presiding officer, Muhlenberg signed the laws passed by the First Congress, including legislation that set oaths of office, placed tariff duties on imports, set pay for government officials, and the Bill of Rights. According to one version of a widely held myth, Speaker Muhlenberg cast the deciding vote that prevented German from being adopted as the official language of the United States. One story places the vote in 1776; another variation has the vote taking place in the Pennsylvania legislature when Muhlenberg was the presiding officer. In November 1794, when Muhlenberg was Speaker of the House, a group of German Americans from Augusta, Virginia petitioned Congress to have federal laws printed and distributed in German as well as English. Speaker Muhlenberg appointed a committee to consider the proposal. On January 13, 1795, the House debated the proposition, not of making either German or English the official language, but of printing the laws in both languages. The debate did not come to any conclusion, but a motion to adjourn and consider the recommendation at a later date was defeated by a single vote, 42-41. From this vote sprang the myth that German failed to become the official language by one vote. In a German language journal in 1813 and again in a book by Franz Löher in 1847, Speaker Muhlenberg was blamed for the failure of the proposition. Although there is no truth to the myth–the United States has never had a legally established official language–it does highlight the importance of the German language press in the history of the American colonies and the early republic. German language newspapers in Pennsylvania kept the German American community informed and publicized the movement for independence. Melchior Steiner and Carl Cist of Philadelphia published German translations of Thomas Paine’s Common Sense pamphlet and one of the first printings of the Declaration of Independence. Heinrich Miller printed a translation of the Declaration in the July 9, 1776 issue of his German language newspaper the Pennsylvanischer Staatsbote. Do you have any stories about German American members of Congress? Share them in the comments below.